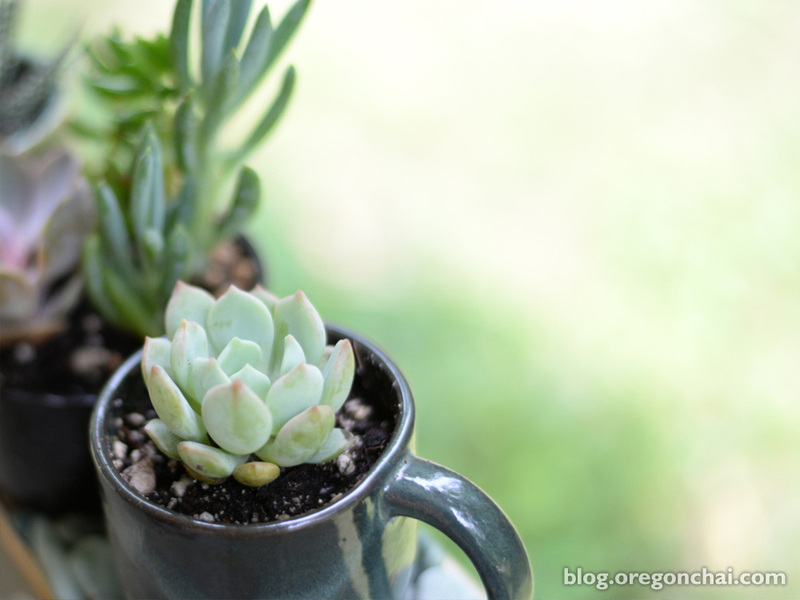 Succulents are lovely, colorful plants perfect for those of us lacking a green thumb. They’re easy to care for because they evolved to retain water in arid climates. That means these hardy plants don’t require frequent watering. Succulents also grow well in most homes and can adapt to lower light if you can’t find a sunny spot. 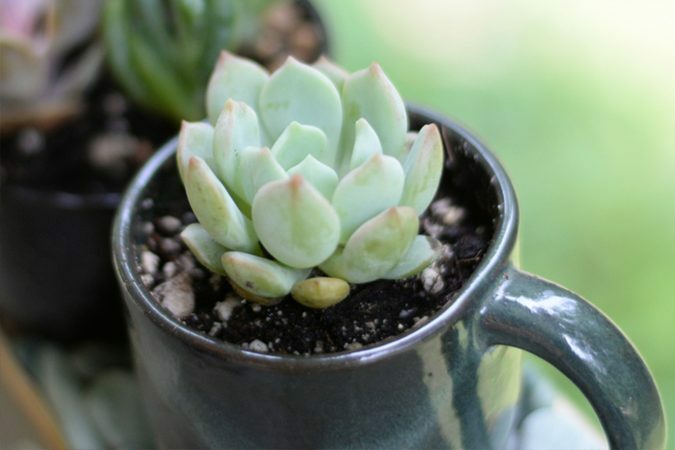 While it’s hard to imagine filling your mug with anything other than delicious chai, this how-to guide for turning teacups into succulent planters will inspire tea lovers and gardeners alike. Drill a hole into the bottom of the teacup for water drainage. The teacup saucer can be used to catch drainage. Fill one third of the bottom of the teacup with pebbles or small rocks. Pour potting soil over the rocks and make a shallow hole sized to fit your succulent. Take the succulent from its current container and gently loosen its roots to knock off the soil. Carefully spread and lengthen the roots, as if you were giving them a stretch. Place the succulent in the shallow hole and cover the roots with more potting soil. There should be enough soil to reach the base of the succulent. Add colored rocks, sea glass or pebbles to the top for decoration as desired. Do not water the succulent immediately after repotting. Wait about a week for the plant to adjust to the new soil. After a week, water the succulent until water runs out of the drainage hole. Be sure to empty the drainage saucer. Continue watering each time the soil feels dry to the touch, usually about once a week. Now that all the not-so-hard work is done, reward yourself with a warm mug of sweet, buttery Salted Caramel Chai. Looking for more ways to spruce up your home? Try one of these charming DIY decorating ideas.